They say a picture is worth a thousand words. But even the best picture in the world couldn't do our Milk Pecan Turtles justice nor can the perfect description. 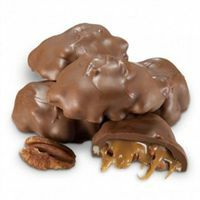 Taste our Milk Pecan Turtles, and you'll understand why we've sold millions of these delectable treats!